When you need heart surgery, you want the best possible care from experts who have years of experience, and a compassionate, friendly environment that is close to home. Here at Hackensack University Medical Center, our cardiac surgeons have extensive experience in minimally invasive heart surgery, combination open-heart procedures, and many other complex surgical procedures of the heart. Our physicians are on the front lines of fighting heart and vascular diseases, developing techniques and treatments that are setting standards in cardiac care all over the world. Cardiac Anesthesiologists: Cardiac Anesthesiologists are physicians who specializes in providing anesthesia to surgical cases involving the heart, lungs, and other operations of the chest, including bypass surgery and other procedures ranging from minimally invasive surgery, robotic surgery, and complex multi-stage aortic surgery. The cardiothoracic anesthesiologist is often responsible for supervision of the bypass heart-lung machine. He or she will also monitor a patient’s physical condition through use of invasive monitors, in addition to keeping an eye on the patient’s bodily reactions to drugs needed during a surgical procedure. The education required for this specialty is extensive. Critical Care Intensivists: Critical Care Intensivists staffing our Cardiac Surgery ICU- Intensivists care for critically ill patients who require a higher level of care because they have complex medical conditions. The intensivist has the primary responsibility for the ICU patient’s care versus acting as a consultant, as many specialists do. In this role, he or she leads a team of caregivers who are experts in different specialties. The intensivist also oversees the many decisions involved in a critically ill patient’s care, and coordinates all the other services the patient may need – including those from specialists. The state-of-the-art Hybrid Operating Room (OR) at Hackensack University Medical Center is one of only a handful of operating rooms in the nation where open or minimally invasive surgical procedures and catheterization can be performed simultaneously. The Hybrid OR combines conventional operating rooms with high-tech imaging, allowing surgeons and their colleagues to work together in the same room. These multipurpose rooms bring technology to the patient, improve overall care and shorten hospital stays. If there are complications, surgery can happen immediately in the same room, maximizing time and minimizing stress on the patient. This groundbreaking technology greatly benefits patients with significant medical issues in a minimally invasive fashion. Our Cardiac Surgery ICU nurses are specially trained in taking care of heart surgery patients, and provide the expert care you need to recover quickly. 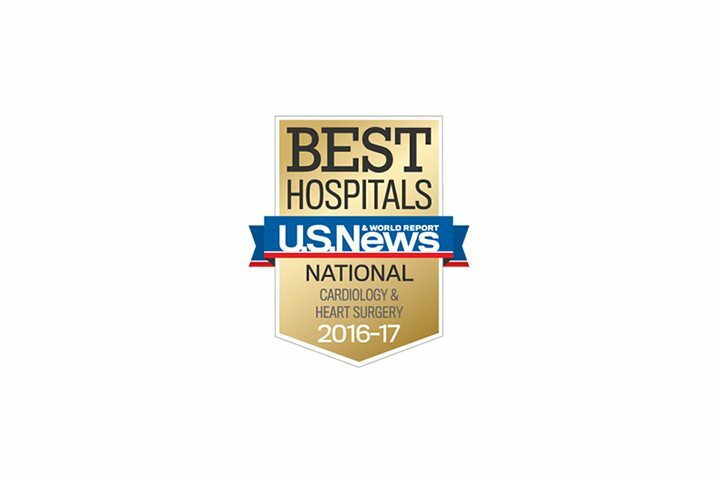 The Heart and Vascular Institute at Hackensack Medical Center is an Award Winning Cardiology and Cardiac Surgery Program nationally ranked by the US News and World Report. After a cardiac surgery date has been scheduled: PreOperative testing will be completed prior to your surgery. Testing can include the following: Xrays, Venous mapping, Carotid dopplers and Urinalysis and Electrocardiogram. You will be instructed not to eat or drink after midnight the night before your surgery date. A cardiac surgery clinical nurse will review your medications including those over the counter and herbal supplements. The cardiac nurse will instruct you on the medications to continue or discontinue. If you currently smoke, smoking cessation education is available. Individualized Preoperative teaching, your hospital course and discharge planning education will be provided by our cardiac surgery team. We will assist you in any discharge planning needs including visiting nurses and rehabilitation referrals. Cardiac Surgeons at Hackensack University Medical Center are experienced, highly skilled physicians. The Cardiac surgery team offers our patients state-of-the art technology for effective patient care. Surgeons perform minimally invasive heart surgery, combination open heart surgery procedures, ventricular assist device implantation and many complex surgical procedures. Because we take a team approach to care, you will be seen by your surgeon and a cardiologist, along with our specially-trained anesthesiologists, intensivists and nurses. Every member of the care team shares the same goal: to provide you with the best possible outcomes and to see you return to health as quickly as possible. Recent advances in cardiac treatment have proven to slow, and in some cases reverse, the advancement of heart failure, resulting in improved survival and quality of life. At Hackensack University Medical Center, our multidisciplinary team is offering transcatheter aortic valve replacement (TAVR) as a life-changing option for many patients with aortic stenosis. Sometimes valve disease can be treated with medication, but depending on the severity of the problem, valve repair surgery or replacement surgery (insertion of an artificial heart valve) is necessary.